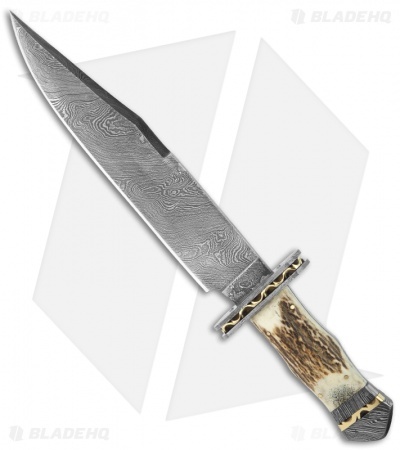 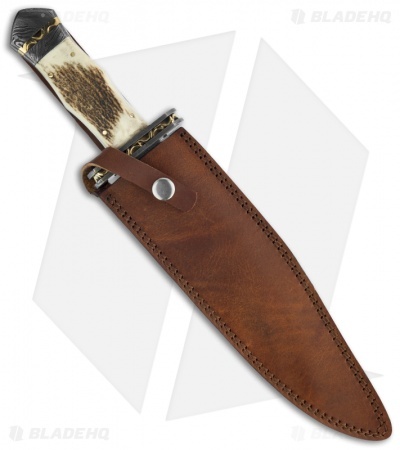 This Buck n Bear Big Game hunter fixed blade knife features a clip point 256-layer Damascus (1095 & 15N20) steel blade with swedge and a Damascus guard framing a brass filigree insert. 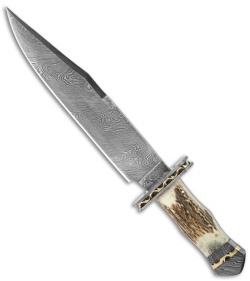 The polished full tang features stag scales and a Damascus plated hilt with matching brass filigree. The handle is ergonomically shaped with a guard that keeps your hand from slipping. Includes premium leather sheath.